Imagine walking into the office tomorrow morning and finding your most critical corporate secrets have suddenly become public domain. Financial information, confidential communication, technical blueprints, everything. will it flood the market with cheap clones of your most valuable products? will it derail sensitive business operations, relationships or revenue? worse, what if critical production processes have been quietly sabotaged, triggering anything from quality problems to environmental disasters and loss of life? While these scenarios may appear extreme, cyber risks have rapidly developed into a major threat for global economies and enterprises. 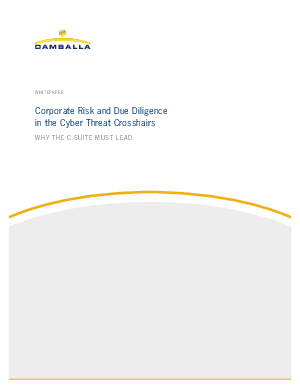 with little notice, cyber threats have reshaped corporate risk profiles and have transformed cyber security from a back-office concern into a foreground corporate priority. Corporate boards and auditors are increasingly zeroing in on cyber risk,due to its potential to enhance or destroy financial forecasts, valuation, reputation, compliance and more.